CTP was proud to have a graduation event on March 25th for the “Professional Retail & Customer Service Training” class representing 63 graduates spanning a two year period. Alex Tabony, the Executive Director of CTP gave the introduction, and all of the CTP instructors were on hand to celebrate Alafia Stewart, Cara Sperry, and Jasper Hill. Director of Employment Services Aubrey Green was on hand as CTP’s photographer and business manager, Christine Tabony, served cake following a potluck lunch for the graduates. Debra Phillips, a graduate of the program gave a very moving student address. 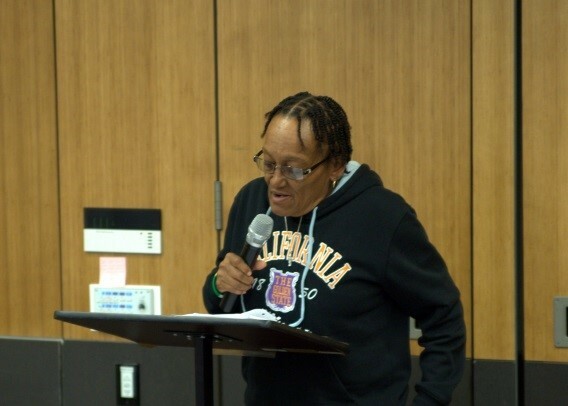 She discussed her difficult transition from living on the streets to finding a place at the Richmond Rescue Mission; then getting to CTP and taking the “PRO” class. Debra found a path and stayed on it and is currently employed by Safeway. 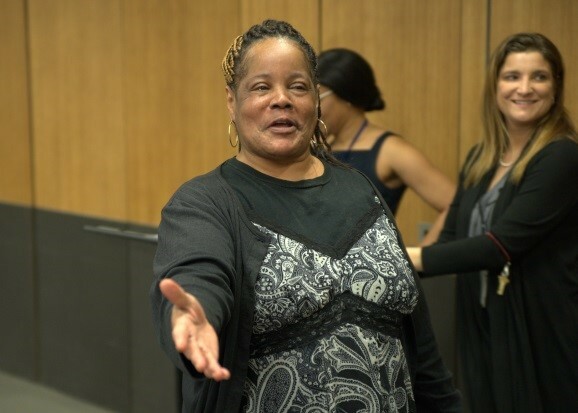 Tirezase Armstrong, a classmate, explained how CTP really helped her to get through the PRO class, until this class she had never completed anything. 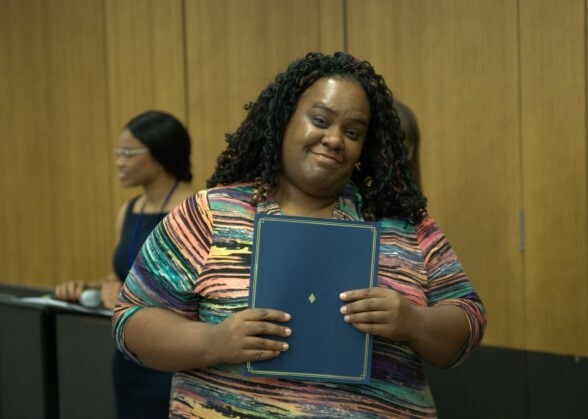 The experience really helped her to build skills and self-esteem so that she is going on to Contra Costa College to take classes and get her Associates Degree. Yolanda “Yo-Yo” Millard, another graduate of the PRO class, thanked God for each day the sun rose and for each day she was able to attend this wonderful class. She is currently applying for a secretarial position.